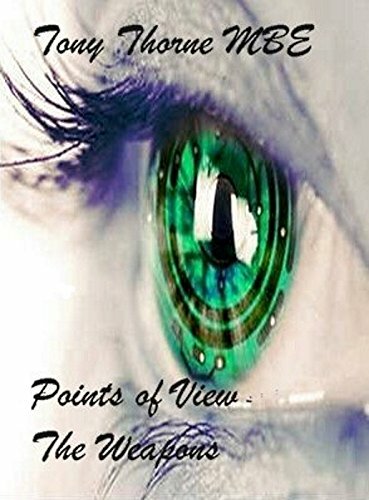 In Book One, young Horace Mayberry an inexperienced somewhat dreamy, introvert Londoner and blind since his early teens, was fitted with bionic eyes by scientist Professor Freeman, using advanced nanotechnology. They are inherently intelligent, but controlled by his brain to develop new facilities as different stress conditions dictate. After extensive training, he was recruited into a secret government department and accompanied by an experienced extrovert agent, he embarked on a series of adventures, and unusual missions. As his confidence and abilities grew, his dreams reflected the way his character and personality also developed. He learnt how to cope with all kinds of situations, including computer hacking, meeting a girl friend, and being abducted more than once by the members of a sinister international terrorist organisation after the secrets of the laboratory that developed the bionic eyes. In this first sequel, Horace discovers that his nanotronic eyes can give him even more amazing abilities when he needs them, especially as five secret weapons developed by Professor Freeman in his laboratory, have been stolen, and he is the only agent with the ability to interact with them. The action takes place all over Europe, but especially in Scotland, France and Austria where the terrorists have hideouts. It includes helicopter chases, a missile attack, bomb disposal techniques, using a drone, abductions, and several new uses of the nanophytes in Horace's new eyes. In between the various missions to retrieve each weapon, his personality and the relationship with his girlfriend Janet further develop, His dreams become even more vivid and reflect his varied experiences in learning to be an efficient government secret agent. He is accompanied in his new adventures by his mentor, Aubrey Jackson, with the help of a new member of the team, Harry Jenkins, who originally helped train him, plus the VPHQ ingenious technician Sergeant Daniels.